As a volunteer, gain experience, expand your network, and improve your resume with life and career relevant work as you help YFPA attain everyday operations and specific goals. Our members, board, and volunteers have used their experience at YFPA to start a business, become directors, presidents, and chairpersons, improve their relationships for a better workplace, find new jobs, hire new workers, and gone forth in the world with confidence and vigor! Interested in volunteering? E-mail us here. Further expand our industry leading brand and marketing. 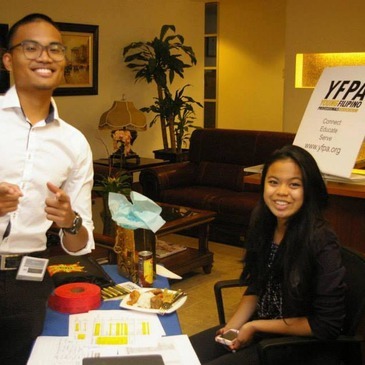 For more than a decade, YFPA is on everyone’s minds when they think of the professional filipino American experience in the SF Bay Area. ﻿Help the next generation get a head start in their college experience. Help fellow professionals in the Scholarship selection committee, interviewing, and coordinating the Scholarship Award Gala. Be a leader in your area of expertise. Or discover a new specialty. Work with fellow leaders to be the more complete leader in our community.